Times are tough, and many people are taking on not just one job, but two, three or even more, just to make ends meet. While you might not see a problem with this, your employer may think otherwise. Businesses are concerned nowadays with employees taking confidential information and sharing it with other companies. This can become an issue when an employee takes on a second job. Because of this, many companies are requiring employees to sign non-compete agreements upon hire. These agreements may include strict policies forbidding moonlighting altogether, while some may allow it, but with restrictions. Some companies may not have any policies at all when it comes to employees taking on additional work with a different company. In any case, if you plan to take on another job or start your own business, it’s important that you determine whether or not your company has policies in place. 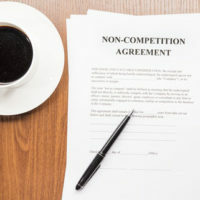 If you use any proprietary processes, materials, trade secrets and any other confidential information in your second job, you could be sued for breaching the terms of your non-compete agreement. Review all relevant documents in your current job. Did you sign a non-compete agreement? Is there anything in the employee handbook that discusses the policies regarding employment outside of your position? If you have questions, discuss them with your manager or human resources department. Evaluate the duties of the second job. Is there a conflict of interest? Is there anything that would prohibit you from fulfilling the duties of your primary job? Make sure that you aren’t working for a competitor of your primary job or would be put in a position where you could be asked to share trade secrets. Understand your degree of duty of loyalty to the employer. In every state, employees are obligated to refrain from behaving in a manner that would be contrary to his employer’s interests. Depending on how much responsibility you have within the company, and how much access you have to confidential information, you may be held to a higher standard than other employees. Seek legal advice. If you’re unsure about whether or not a moonlighting opportunity would be interfering with your primary job, a lawyer can help. Bring all relevant documents with you to a consultation and he or she can review them. No employer likes competition, and companies often have strict rules in place to govern the use of trade secrets and other confidential information. It’s important that you understand what your employer’s non-compete agreement entails and that you follow it. Otherwise, you could face serious legal consequences. Non-compete agreements are taken seriously by the courts. If you are a business looking to protect trade secrets or an employee looking to take on another job, seek legal help first. Orlando non-compete lawyer B.F. Godfrey from Godfrey Legal can answer your questions and make sure you stay within your legal limits. 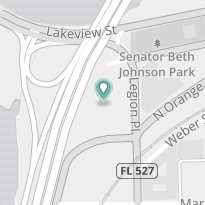 Contact Godfrey Legal at (407) 890-0023 today to schedule a consultation.